South Africa’s government disability grants are considered important in providing income support to low-income AIDS patients. 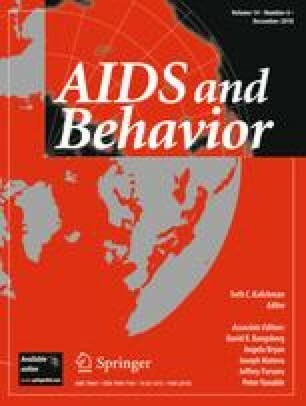 Indeed, anecdotal evidence suggests that some individuals may opt to compromise their health by foregoing Highly Active Antiretroviral Treatment (HAART) to remain eligible for the grant. In this study, we examined the disability grant’s importance to individual and household welfare, and the impact of its loss using a unique longitudinal dataset of HAART patients in Khayelitsha, Cape Town. We found that grant loss was associated with sizeable declines in income and changes in household composition. However, we found no evidence of individuals choosing poor health over grant loss. Our analysis also suggested that though the grants officially target those too sick to work, some people were able to keep grants longer than expected, and others received grants while employed. This has helped cushion people on HAART, but other welfare measures need consideration. We would like to thank the AIDS and Society Research Unit (ASRU) at the University of Cape Town for access to data from the HAART Panel Study and for research support. We would also like to thank Nathan Geffen, Elijah Paintsil, A. David Paltiel, Gustav Ranis, Jeremy Seekings, Jody Sindelar, T. Paul Schultz, T.N. Srinivasan, seminar participants at the University of Cape Town Center for Social Science Research, the Center for Interdisciplinary Research on AIDS at Yale University, the Global Citizenship: Research Implications workshop, and the International Health Economics Association 7th World Congress, as well as two anonymous referees, for helpful comments and suggestions. Funding for this research was provided by ASRU, the Whitney and Betty MacMillan Center for International and Area Studies at Yale University, and the William and Flora Hewlett Foundation. All errors are our own. Human Sciences Research Council (HSRC). Available at: http://www.hsrc.ac.za/Media_Release-180.phtml. Accessed 3 Nov 2009. Department of Social Development—Republic of South Africa. Disability grants. Available at: http://www.capegateway.gov.za/eng/directories/services/11586/47485. Accessed 3 Nov 2009. Department of Social Development—Republic of South Africa. Annual report. 2008. Available at: http://www.dsd.gov.za/index.php?option=com_docman&task=cat_view&gid=27&Itemid=39. Accessed 3 Nov 2009. National Treasury—Republic of South Africa. Budget Review 2008. Pretoria: National Treasury. Available at: http://www.treasury.gov.za/documents/national%20budget/2008/review/Default.aspx. Accessed 3 Nov 2009. Koker C, de Waal L, Vorster J. A profile of social security beneficiaries in South Africa—Vols III; 2006. Available at: http://unpan1.un.org/intradoc/groups/public/documents/cpsi/unpan036524.pdf. Accessed 3 Nov 2009. City of Cape Town. A population profile of Khayelitsha; Socio-economic information from the 2001 Census. Available at: http://www.capetown.gov.za/en/stats/CityReports/Documents/Population%20Profiles/A_Population_Profile_of_Khayelitsha_1052006142120_359.pdf. Accessed 3 Nov 2009.